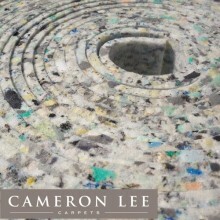 Cameron Lee Carpets Underlays and Accessory ranges have been especially selected to compliment and finish your new floors perfectly, often over looked the underlay and threshold details can either make or break a high quality carpet and flooring installation. 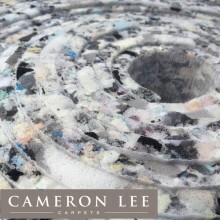 We recommend that your new high quality Cameron Lee Carpets and floor-coverings are complimented by only the finest range of carpet underlays and accessories. Our advice will always be to purchase the best carpet underlay that you can afford to give your carpet a better feel underfoot and achieve its maximum life expectancy. We also carry carpet underlays with thermal insulating and acoustic properties and underlays for use over under floor heating. 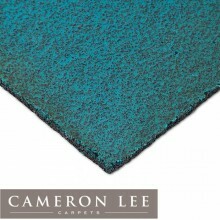 Our call in to see us at or Bristol Carpet and Flooring Showroom to discuss your requirements. The products shown here represent only a small sample, our range is simply too large to list in full, call our friendly team on 0117 9147575 to discuss your requirements, or visit your nearest showroom to view samples or if you can't see what you are looking for. 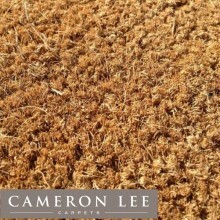 Product: Coir Entrance Matting 17mm Thick by Cameron Lee Carpets Bristol. 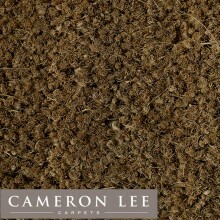 Protect your new Cameron Lee Carpets With our 17mmm Thick Coir Entran.. Available in 6 colours. Kersaint Cobb Coir Entrance Matting by Cameron Lee Carpets Bristol. The short brown fibres of the coconut husk are so..
Springbond is an underlay made using a carefully selected blend of fibre types which have already been recycled from a number of sources, including PE..
Superluxe Black Rubber 8.3mm Underlay by Cameron Lee Carpets. Thickness: 8.30mm Sound Insulation: 42dBHeat Insulation: 0.80togDensity: ..
Superluxe Blue Crumb 8mm Underlay by Cameron Lee Carpets. Thickness: 7.95mm Sound Insulation: 32dBHeat Insulation: 1.03togDensity: 390Kg/m3P..
Superluxe Deluxe 11mm Underlay by Cameron Lee Carpets. 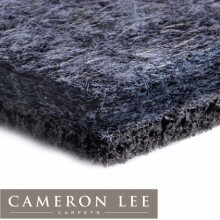 Our Superluxe range of Carpet Underlays has been especially selected to give great all ro..
Superluxe Felt Crumb 11mm Underlay by Cameron Lee Carpets. 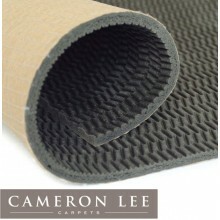 Suitable for the stretch-fit installation of carpets. 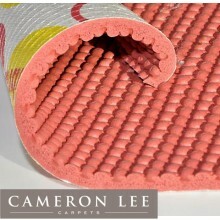 Thickness: 11mm Sound ..
Superluxe Red Elite 10mm Underlay by Cameron Lee Carpets. Thickness: 11.40mm Sound Insulation: 46dBHeat Insulation: 1.65togDensity: 357Kg/m3..
Our Superluxe range of carpet underlays has been especially selected to give great all round performance. Firm enough to give excellent wear and du..